The A380 has literally changed the shape of air transportation in Asia-Pacific, and will continue to play an important role as this region’s dynamic passenger traffic develops during the years to come. Asia-Pacific is a major “home” for the A380: almost half of the global customer base for Airbus’ 21st century flagship jetliner is located there, while all of the other world’s operators utilise A380s on routes to destinations in the area. Singapore Airlines introduced the first A380 commercial service in 2007, and is now flying an expanding fleet of the airliners from its base at Changi Airport – located next to the Changi Exhibition Centre, where this week’s Singapore Airshow is being held. The other Asia-Pacific A380 operators are South Korea’s Asiana Airlines, China Southern, Korean Air, Malaysia Airlines, Qantas Airways in Australia and Thai Airways International (THAI). The list of Asian customers will expand following the recent announcement of an order for the aircraft by Japan’s All Nippon Airways (ANA). “While airline passenger traffic doubles worldwide every 15 years, such a doubling occurs each 10 years in Asia – so A380’s market importance will continue as airlines respond to the growing demand,” explained David Dufrenois, head of Airbus’ A380 Market Development Platform. Routes flown by A380 have clearly demonstrated the jetliner’s capability to meet a full range of operational needs. In addition to connecting the world’s major airport hubs on long-range flights, the A380 is increasingly used for more regional routes, such as between Singapore and Hong Kong; Singapore and New Delhi; Singapore and Mumbai; Singapore and Tokyo; Seoul to Hong Kong; and Seoul to Bangkok. Another example of the A380’s adaptability is Malaysia Airlines’ deployment of the aircraft for Hajj pilgrimage trips to Saudi Arabia – a type of operation that could open wider opportunities for the A380 in the future, according to Dufrenois. The “A380 effect” also has been seen in markets where one carrier’s presence lead to other services in a region. This occurred after the 2014 approval of A380 flights to India, where Singapore Airlines began routes into the country, followed by Emirates, Etihad and Lufthansa opening their own A380 service to Indian destinations. “Similarly, we expect to see more and more A380 flights for China, both into the country and within its borders, driven by air traffic growth,” he added. Passengers continue to show their preference for the A380, often paying a premium when they can choose from aircraft types on a specific route, Dufrenois said. He also noted that the jetliner is becoming an even greater enabler for airlines with today’s lower fuel costs. Airbus has delivered some 180 A380s to 13 airlines so far, with these aircraft carrying a combined total of approximately 120 million passengers to date. 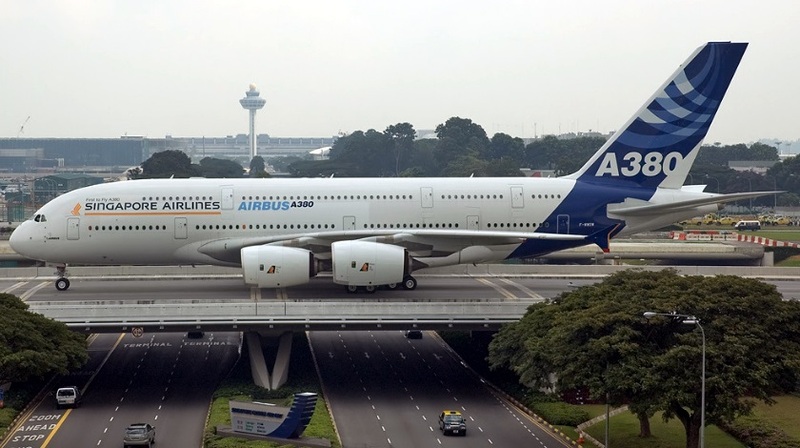 An A380 takes off or lands somewhere in the world every three minutes. The number of A380-compatible airports today now stands at 120 globally, including major destinations throughout Asia-Pacific – ensuring this jetliner’s distinctive shape will be an increasingly familiar sight in the region.